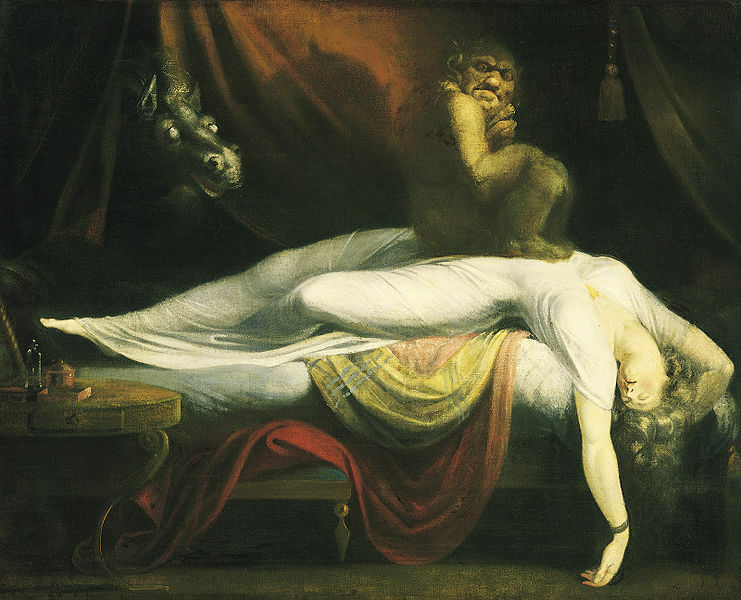 A mechanical reproduction of the Gothic painting by Henry Fuseli entitled “The Nightmare” became a a major inspiration to the brooding, brilliant, brittle and oddly vulnerable DCI Tanner in the episode entitled Parasomnia (1999) in the BBC/PBS series Second Sight. The Gothic genre has thrived as a transgressive art form in various styles and forms, in high culture and pop culture, since its origins in the late eighteenth century through the postmodern and into the 21st century. Consumers of the gothic genre enter willingly into the nightmare narratives experienced by those who inhabit the shadow lands of modernity: that spectral cast of incubus, ghosts, monsters and vampires who reveal to us the threat of dystopia that looms on the edge of our planned utopias, the dark side of human nature that we narrowly avoid due to the superhuman efforts of the fictional hero and heroine. The consumer of the gothic narrative escapes with a cathartic pseudo-Burkean-sublime-feeling, the Malarme or Beaudelaire’s ‘frisson’ experienced in the art gallery, winged arm chair or theater, of having survived the terrible through human reason and virtue. See also Botting (1995). 1667 John Milton’s Paradise Lost was published but it did not take its preeminent place in English literature until his work became a major influence on Mary Shelley and other Romantic-Gothic artists. c. 1735-40 William Hogarth’s “Satan, Sin and Death.” (A Scene from Milton’s ‘Paradise Lost’). oil on canvas. London, UK. Tate Gallery. 1757 Edmund Burke and the sublime (1729 – 1797): “Whatever is fitted in any sort to excite the ideas of pain, and danger, that is to say, whatever is in any sort terrible, or is conversant about terrible objects, or operates in a manner analogous to terror, is a source of the Sublime; that is, it is capable of producing the strongest emotions which the mind is capable of feeling. – Edmund Burke” Political philosopher Edmund Burke’s theories of the sublime and the beautiful (1756) influenced the Romantic movement. 1759 Adam Smith suggested that conscious reasoning, analysis and imagination contributed were mechanisms of the phenomenon of emotional contagion. “Though our brother is on the rack . . . by the imagination we place ourselves in his situation, we conceive ourselves enduring all the same torments, we enter as it were into his body, and become in some measure the same person with him, and thence form some idea of the sensations, and even feel something which, through weaker in degree, is not altogether unlike them (Smith 1759:9 cited in Decety and Ickes).” Smith also described motor mimicry, “When we see a stroke aimed, and just ready to fall upon the leg or arm of another person, we naturally shrink and draw back on our leg or our arm (Smith 1759:4 cited in Decety and Ickes). 1764 Horace Walpole (1717-1797), son of the first prime minister Sir Robert Walpole, published the first Gothic novel entitled The Castle of Otranto. Horace and his friend Thomas Brand took the Grand Tour around Italy and France c. 1740-42. 1767 William Hogarth’s unfinished painting Satan, Sin and Death is a Miltonian scene that was engraved in 1767. Hogarth’s Satan, Sin and Death possibly fuelled the vogue of the sublime in romantic painting and may have inspired Fuseli and Blake. 1794 Ann Ward Radcliffe (1764-1823) published the Gothic novel entitled The Mysteries of Udolpho. Radcliffe socially acceptable stories surrounding a virtuous heroine, implied a supernatural intrusion but always could be traced to a logical natural cause. Key words: Orphans, Fiction, Horror tales, Inheritance and succession, Young women, Gothic fiction, Guardian and ward, Castles, Italy, climatic scene setting. 1897 Irish novelist Abraham “Bram” Stoker (1847 – 1912) published his Gothic novel entitled Dracula. 1950 Powell, Nicolas. 1950. “Fuseli: catalogue of an exhibition of paintings and drawings.” Introduction by Ganz, Paul. (1872-1954). Arts Council of Great Britain. London. 1956. Antal, Frederick (1887-1954). 1956. “Fuseli studies.” London, Routledge. 1985. Gizzi, Corrado. 1985. Fussli e Dante Palazzo di Brera. Milano. Mazzotta. Catalog of an exhibition held at the Palazzo di Brera, Milan, Nov. 20, 1985-Jan. 19, 1986. 1990 Nationalmuseum (Sweden). 1990. Füssli.” Stockholm: Sweden. “Part of a double exhibition: Sergel-Füssli held Nov. 4, 1990 – Jan. 6, 1991. Swedish text with English summary. 2005 National Gallery of Canada, and Douglas E. Schoenherr. 2005. Henry Fuseli. ISBN 0888848021. Primitive emotional contagion is of critical importance in understanding human cognition, emotion and behaviour. It is a basic building block of human interaction, assisting in “mind reading” and allowing people to understand and to share the feelings of others.” The Emotional Contagion scale was designed to assess people’s susceptibility to “catching” joy, happiness, love, fear, anxiety, anger, sadness, depression, as well as emotions in general. True empathy requires three skills: 1: the ability to share the other person’s feelings; the cognitive ability to intuit what the other person is feeling; and a socially beneficial intention to respond compassionately to that person’s distress. Emotional contagion is the “tendency to automatically mimic and synchronize facial expressions, vocalizations, postures, and movements with those of the other person and consequently, to converge emotionally (Hatfield, Cacloppo, Rapson 1994:5 in Decety and Ickes). Botting, Fred. 1995 Gothic. Series: The New Critical Idiom. Routledge. Decety, Jean. Ickes, William. The Social Neuroscience of Empathy. MIT Press. Schoenherr, Douglas E. 2005. Henry Fuseli. National Gallery of Canada. Ottawa, ON. The Athenian Caratyds, a Roman copy of 4th century BC Greek sculptor Praxitele’s Hermes and Dionysos (300 BC), Bernini’s (whose patrons included Pope Urban VIII) The Ecstasy of Saint Therese (1647-52), Hermaphrodite Sarrasine’s relief (18th century), Anne-Louis Girodet de Roussy-Trioson (1767-1824) Endymion(1791) and his Pygmalion et Galatée(1819), Honoré de Balzac’s (1830) Sarrassine, Michel Serre’s (1987) Hermaphrodite: Sarrasine Sculpteur Précédé de Balzac Sarrasine and Serres (1982) Hermes: Literature, Science, Philosophy. I layered these images after reading Michel Serres (1987). There is something about the inspired playfulness of Dan Brown’s characters in Angels and Demons and setting that reminded me of this image. 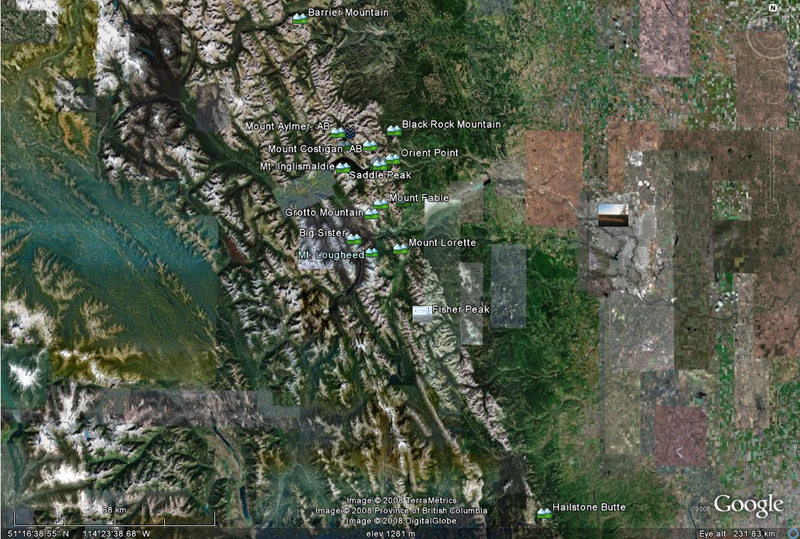 I hope to use free internet tools to connect the dots between layers. Dan Brown’s protagonist, the art historian, Renaissance expert and James Bond of the art world, irreverently described the ecstasy of Saint Theresa as sexual and secular not sacred. Links: Hermes, hermeneutics, East and East, Persian and Greek Empires, Greek and Roman sculpture, Greek and Roman culture and art, Greek and Christian art, Greek, Roman and Renaissance sculpture, originality, copies, derivatives, Western art, western metaphysics, interpretation, contributions of East and West. In many ways I see science and religion as the same thing. Both are manifestations of man’s quest to understand the divine. Religion savors the questions while science savors the quest for answers. Science and religion seem to be two different languages attempting to tell the same story, and yet the battle between them has been raging for centuries and continues today. The war in our schools over whether to teach Creationism or Darwinism is a perfect example. We live in an exciting era, though, because for the first time in human history, the line between science and religion is starting to blur. Particle physicists exploring the subatomic level are suddenly witnessing an interconnectivity of all things and having religious experiences…Buddhist monks are reading physics books and learning about experiments that confirm what they have believed in their hearts for centuries and have been unable to quantify. (I will connect his url. Meanwhile it is on my del.icio.us).